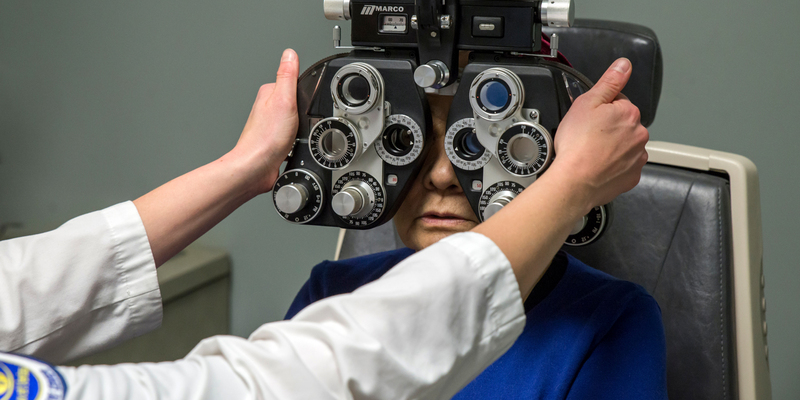 SCO's Residency Programs give graduate optometrists additional opportunities to expand their clinical knowledge and skills. Most residencies are one calendar year in length and most programs begin on July 1. See program description for further details. Residents receive an annual stipend, health insurance at group rates, professional liability insurance, and travel funding. All of our programs are either accredited by the Accreditation Council on Optometric Education or being prepared for accreditation. What are the prerequisites for a residency applicant? Applicant must have earned an O.D. degree, or will have earned such a degree by the time of matriculation from a school/college of optometry accredited by the Accreditation Council on Optometric Education. Candidates must have a minimum 3.0 GPA on a 4.0 scale. Candidates must have passed NBEO Parts I, II and TMOD in order to submit an application. Candidates must have past NBEO Part III and be eligible for a license in the state where the program resides in order to accept a residency position. Primary Care, Ocular Disease, Low Vision, Cornea/Contact Lens, Family Practice, Pediatric, Vision Therapy and Rehabilitation, Refractive and Ocular Surgery, Community Health, Brain Injury Vision Rehabilitation. Many combination programs are offered. How many programs should I consider? ORMatch will allow candidates to apply to 10 programs for a single fee. The average applicant applies to 5 programs. Things to consider are time off to interview and costs incurred. You will interview at each individual site. Can I apply for a residency after I have already graduated? Yes. Anyone can apply as long as they meet the candidate requirements. How can I make myself a competitive candidate? Maintain a competitive GPA, join optometric student organizations, reach out and introduce yourself to the Supervisors, advocate for the profession, community service, get involved in research, pick externships with similar disciplines/venues, arrange a visit to the practice if this is practical, research the programs prior to your interview, prepare well thought out questions to ask during your interview, be confident, smile and maintain eye contact during the interview, update your cv, write a strong letter of intent and form positive clinical impressions with your staff doctors so they can write strong, positive and personalized letters of recommendation. Will I be paid during my residency year? Yes, most likely. There are work without compensation programs but these are rare. You can expect a modest salary with paid benefits which vary from program to program. Will I be able to defer my student loans during residency training? Deferment is not an option, however, forbearance is. Meaning, you are not responsible for payments during your residency but interest accrues. What support documents do I need to prepare for my application? This varies from program to program. In general you will be asked to submit: An application through ORMatch, an application through the affiliate institution, a letter of intent, updated cv, official transcripts, NBEO scores and 3 letters of recommendation. Where do I send my support documents? SCO requires all support documents to be sent to the Program Supervisor and the Director for Residency Programs. Again, this varies among academic institutions. What are the important deadlines to remember? Application season opens in October and closes in January. Interviews typically take place in late January-early February. The Match (selection of residents) takes place in early March. Most residency programs begin on July 1. Does a residency’s accreditation status matter? A residency which is accredited by the ACOE holds an official stamp of approval. Completion will earn points towards a Fellowship in the AAO, NBEO Board Certification and earn you consideration of a Faculty position. A residency in its initial year will be labeled as Accreditation-Pending. This is NOT a red flag. If a program has been offered for more than 1 year and is not accredited you must ask why. A Fellowship does not go through the accreditation process. Where can I learn even more about optometry residencies and the programs offered? Additionally, SCO holds a general Residency Information Night each year.